Ten years since it was first published in hardback, and now for the first time as an eBook, this volume of short stories by the cream of British crime writing talent celebrates 75 years of the quintessential Detection Club. 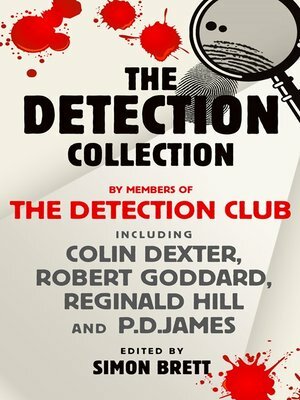 The Detection Club represents the cream of British crime writing talent. Founded on the cusp of the 1930s, the Club's first President was G.K. Chesterton, and since then the mantle of Presidency has passed to some of the most significant names inthe history of crime fiction, including Agatha Christie, Dorothy L. Sayers and Julian Symons. The Club meets three times a year - to dine, to plot, and to exchange ideas. This anthology includes eleven new stories by the Best of British: Robert Barnard, Lyndsey Davis, Colin Dexter, Clare Francis, Robert Goddard, John Harvey, Reginald Hill, P.D. James, H.R.F. Keating, Michael Ridpath and Margaret Yorke, and has been edited by the Club's President, Simon Brett. Among the authors are a number of bestsellers, as well as winners of both Diamond and Gold Daggers. This outstanding collection is a must for crime lovers everywhere.